Shaink Bund is the central bund (levee) that protects the Qadir pur union council from the threatening flood waters. Qadirpur Union council is a part of district Ghotki in the Sindh province. As the water levels rise, the water from the Shaink bund flows to the other two bunds, Loop bund and Qadirpur bund. There are around thirty five villages located in between Shaink bund and the two bunds. When water in the Shaink bund overflows to the other two bunds, the villages located in between are heavily flooded. The residents of these villages struggle to survive by seeking immediate refuge at the Loop and Qadirpur bunds. Mae Husna is a 45 years old mother of six living with her ill husband in village Nihal Goth, situated in the middle of the bunds. 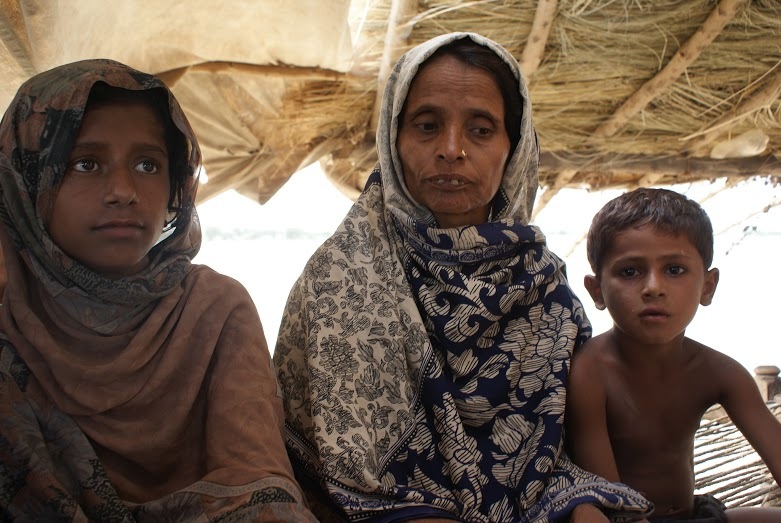 Her family is among those who have been displaced to the Loop bund for safety. Nihal Goth, situated at a 500 meters distance from Loop bund is only a kilometer away from the river bank which is why it is among the most affected villages as the bund overflows. Most of the houses in the village have sank to almost 90 percent under the flood water. These houses have become unfit to live in even after the water levels go down. Her husband being unable to work due to his illness, Mae Husna is the sole bread winner for the family. Of her five daughters, three have been married off so they live on their own with their husbands while the younger two daughters have been sent to a relative’s house to be in a safer environment. The mother could forsee the protection issues her teenage daughters would have had to face in such uncertain living conditions at the embankment. Having no biological son of her own, Mae Husna adopted her only son from her relatives who is with her and her husband at the Loop bund these days. The flood affected communities in Qadirpur UC are facing grave water, sanitation and health and hygiene issues. They have no food to cook for themselves or utensils to cook with. They are living without shelters. Drinking water is brought from a two kilometers distant village. Diseases such as diarrhea among children, malaria, high fever and skin infections have been reported at a rise. 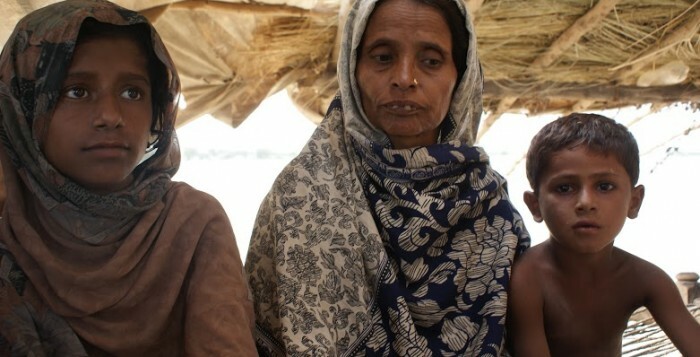 Community World Service Asia along with its local partner in Sindh, Transformation and Reflection for Rural Development (TRD) have identified and selected hundred most vulnerable flood affected families taking refuge at Loop bund in district Ghotki. These selected families have been distributed one month food rations. The food package has been designed for a household of six members, which is the average household size in the province. The items in the food package include 65Kgs of wheat flour, 15kgs of rice, 8 kgs of pulses, 4 kgs of sugar, 6 liters of oil, 800 grams of iodized salt, 400 grams of black tea leaves and a match box.